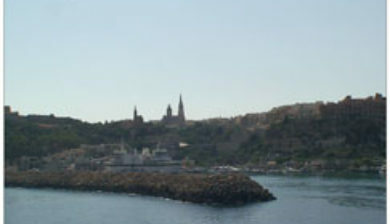 is town and harbour at the east end of Gozo, Malta. 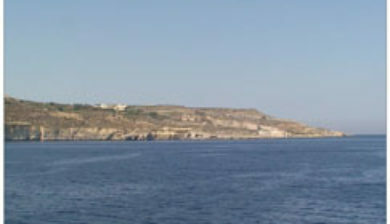 The town of Mġarr grew up around the shallow harbour which shares its name. 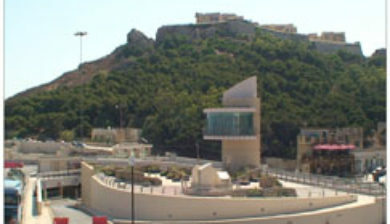 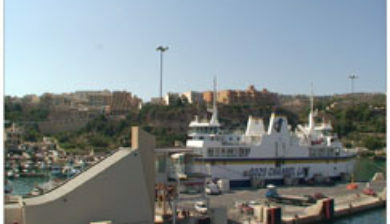 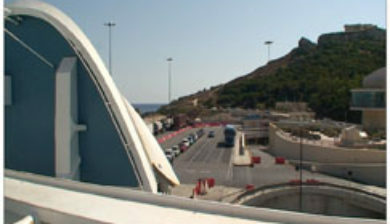 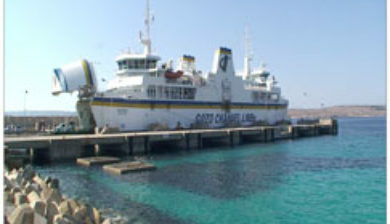 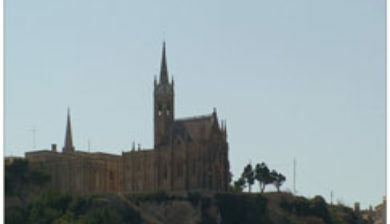 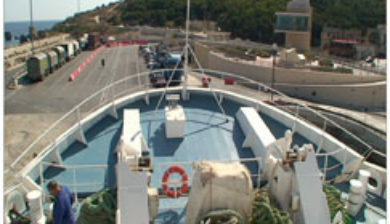 Ferry services to Malta were in operation by 1241, and fishing was already established. 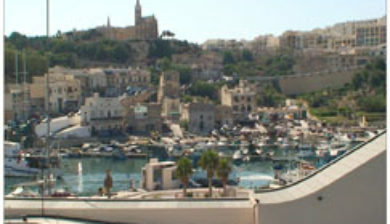 While the area around the harbour was developed over the following centuries, there was little development of the harbour itself until 1841, when a breakwater was constructed to provide more shelter to the port. 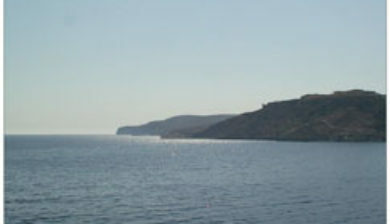 This breakwater was strengthened and extended several times up to 1906. 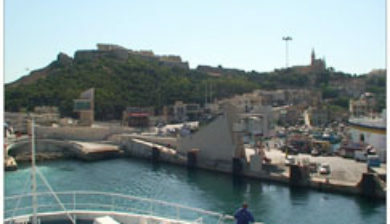 A larger breakwater was constructed between 1929 and 1935, and two more in 1969; on the completion of the latter, the area of the port was expanded to 121,400 square metres.